A kluge, pronounced /klooj/ is a clumsy or inelegant solution to a problem. 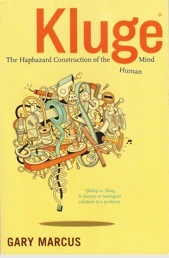 Your mission is to come up with a clever or memorable example -- anything that inspires the reaction, "oh, what a kluge!" A picture, an essay, a song, whatever you like, but, please, just one entry per person. After you've had a chance to read the official rules, submit your entry using the web form below.